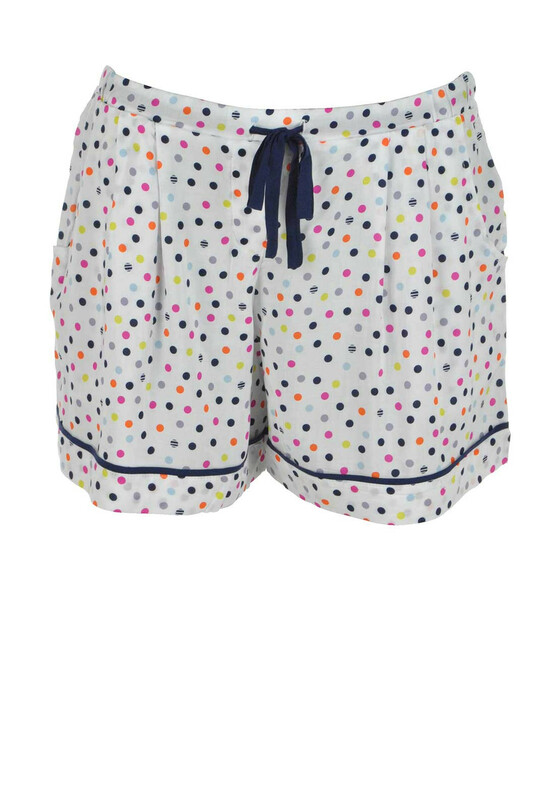 These cute pyjama shorts from DKNY would be a lovely choice to wear with a variety of plain coloured pyjama tops for a great sleep on warmer nights. Crafted from lightweight fabric with a colourful spot print throughout. Featuring side pockets and comfortable elasticated waistband with navy drawstring.